Pyrolysis, gasification, and liquefaction (PGL) represent a viable alternative for the disposal of scrap tires (also referred to as “waste or end of life tires”). These technologies are currently used for the conversion of carbonaceous materials more extensively in Europe and Japan, but may become more important as the supplies of natural fuels become depleted. The disposition of waste tires remains an important issue globally as the population and corresponding number of waste tires continues to rise. 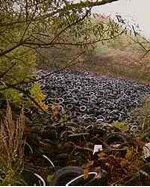 Stockpiling or landfilling of scrap tires has negative environmental impacts and may not be the most efficient disposal solution and indeed within the European Union it is prohibited from landfiling either whole tires or even shredded or crumbed tires. RCR would like to initiate policies to encourage diversion of waste tires to other applications such as crumb rubber products, civil engineering projects, and especially tire-derived fuel (TDF) and the full recovery of special steel and carbon black for reuse. RCR will use a patented technology that will change forever how we process our waste and fuel our cars, homes and businesses. RCR realizes that there is a metamorphosis taking place in the energy sector. This evolution is taking shape in front of us from the innovators of our time. As with the revolution in the medical arena, the computer industry and the Internet – the energy sector is at the doorstep of a paradigm shift. RCR in conjunction with its associated company Advanced Green Technology has pioneered a best in class solution that will leverage the next generation of WTE facilities. The low value or negative waste streams such as industrial waste, and MSW are all desirable targets for the Renewable Fuel Conversion System. While maintaining its fiduciary responsibilities, the company is poised to be a major energy provider and a positive contributor to a better environment for generations to come. 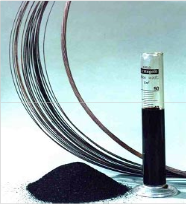 RCR’s consortium approach is to construct an integrated tire handling facility that will include processing from a tire dump and converting it into oil, gas, recycled steel and carbon black. 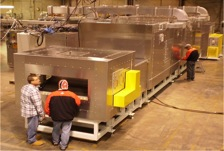 The close proximity and connections to the tire dump, access to a freeway and the ability to tap into the rail network for the smooth movement of finished products is ideal but in any event each STAG plant will be equipped with the appropriate mechanical solutions as part of the composite nature of a typical STAG plant to process all tires that are generated within a 100 mile radius of the plant.